Receive notice that the testator has died and will is in probate. As in all states, you cannot contest a will in Louisiana until the testator has actually passed. Confirm jurisdiction. To contest a will in Louisiana, the person who made the will must have resided there. The estate will go through probate in the district court for the parish where the testator lived. If you live in Louisiana, but the testator did not, you may not challenge the will in Louisiana. Determine standing. To contest a will, you must have standing. 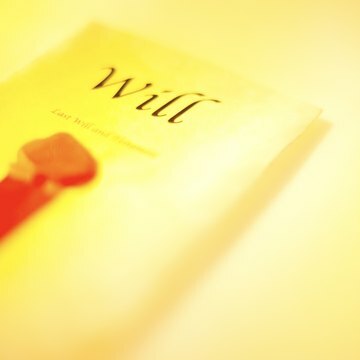 In Louisiana, an individual has standing to contest a will if he stands to inherit under the will or under Louisiana's intestate succession laws, if the will is invalidated. Establish grounds. Grounds for contesting a will in Louisiana include, but are not limited to, mental incapacity of the testator at the time she made the will. The mental capacity required to make a will is much lower than the legal standard for other acts, such as making a contract. The testator must know she is making a will as well as the value of her property. Fraud, or undue influence, is another ground for contesting a will. This generally involves someone in a position of trust, usually a friend or loved one, taking advantage of and manipulating a sick, elderly or vulnerable person to leave her all or more of the estate than she should would otherwise receive in the will. Duress, which refers to a situation in which someone is threatened, forced or put under pressure by another person while making a will, is another ground for contesting a will. In each of these instances, you must have evidence of these grounds, which typically include statements from witnesses. Witnesses may also be asked to testify in court. Failure to comply with Louisiana's will construction requirements, mismanagement of the estate by an executor, error as to the assets of an estate, or ambiguity in the will are other grounds to contest a will. File your petition. To formally contest the will, you must file a Petition of Objection in the court where the will is filed for probate. Once your petition is filed and the court determines you have standing, you will be allowed to enter evidence and argue your case.